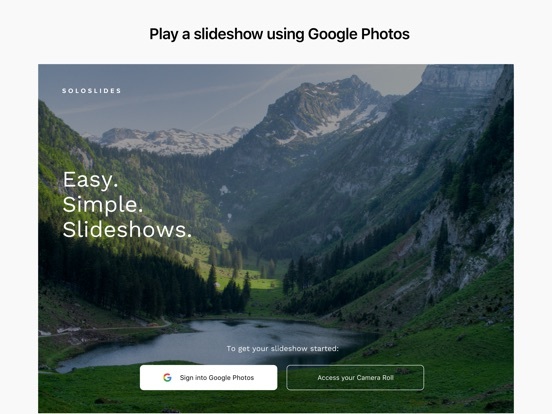 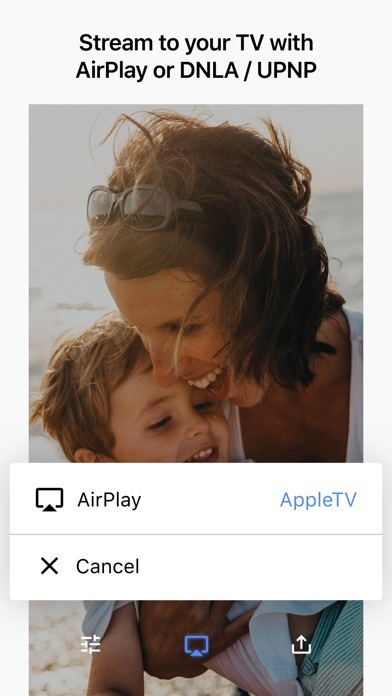 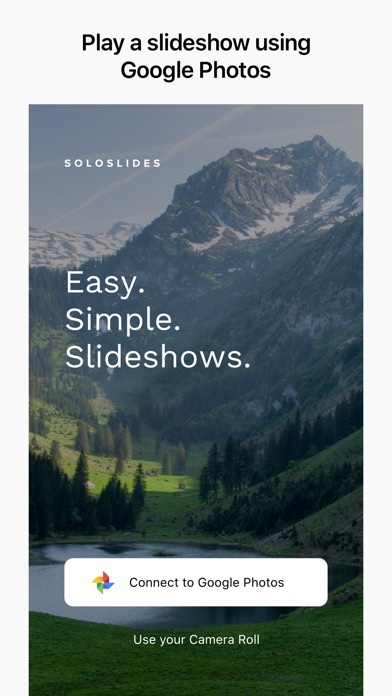 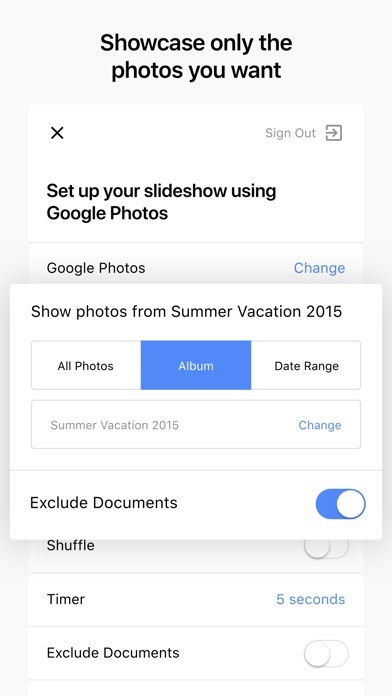 Soloslides for Google Photos plays a full-screen slideshow of your photos on your iOS device. 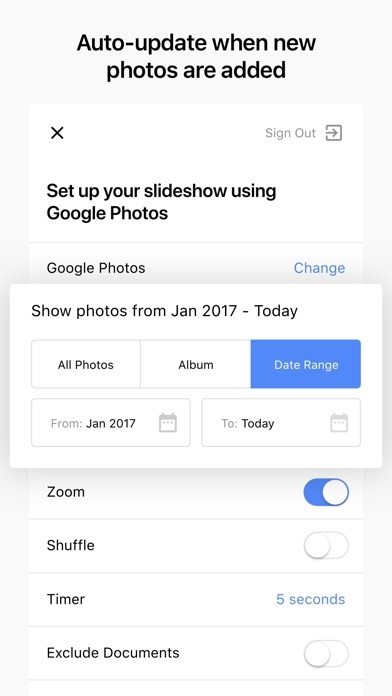 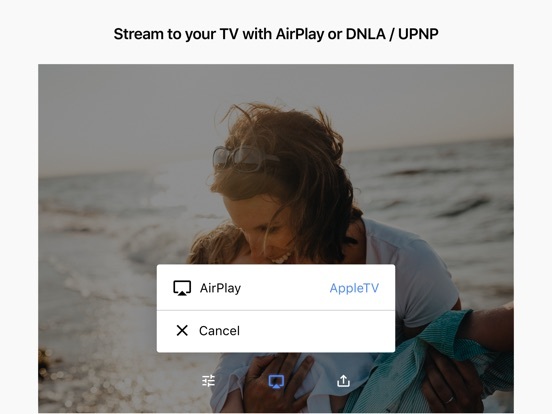 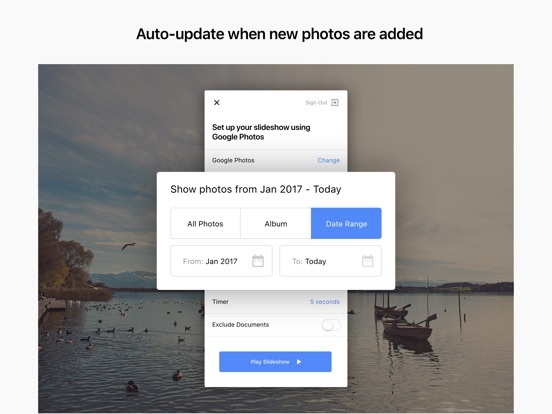 Photos can be played from your Camera Roll, or from Google Photos directly. 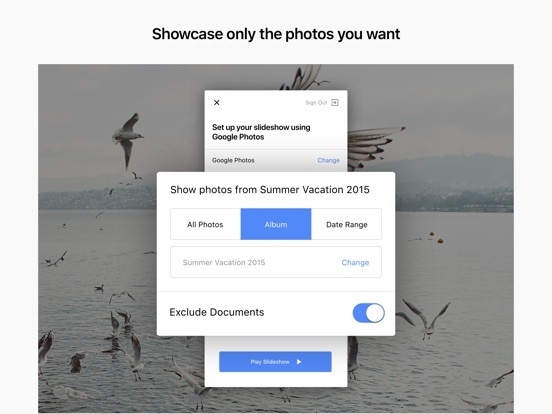 This app handles gigantic Google Photo libraries with millions of photos without a hitch, because it doesn't try to discover all of your photos at once.